1. to rest or remain on the surface of a liquid; be buoyant. 2. to be free from attachment or involvement. 1. any act, hobby, task, program, etc., that relieves tension. Float Therapy (or, 'floating') is an incredibly relaxing / introspective / meditative / creative experience. It's an experience unlike any other in an almost zero gravity, reduced sensory environment. The float pod contains 11 inches of water and 1000 lbs of epsom salt. This creates an incredibly buoyant experience: you float effortlessly. The water temperature is set to the same temperature as your skin, and the pod is sound and light proofed. The intention is you will become unaware of where the water meets your body, and without the distraction of continuous sensory input, enter deep relaxation. Uncomfortable with floating in the dark? Our float pod has the option to listen to your choice of relaxing music, or no music at all. It is also equipped with an array of LED lights so you can pick your mood of the float, or no light at all. The level of sensory reduction is up to you! Float therapy has been around since the 1950's and was originally created by a neuroscientist, Dr John C Lilly. He developed the sensory deprivation tank to study the electrical activity of the brain and the realm of the mind as they relate to consciousness. The original tank suspended the floater in an upright position with a large, cumbersome breathing mask. The tanks have since evolved to more inviting and aesthetically pleasing devices than Lilly's original invention, and tank manufacturers are continuing to evolve their designs (as seen in the photo above). 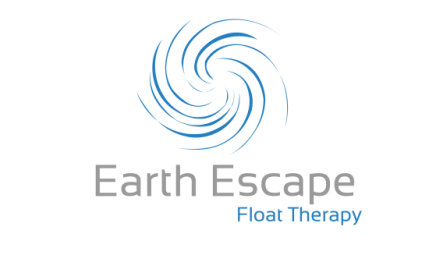 This is a great documentary on Float Therapy and it's versatile use. Floaters range from professionals to athletes to chronic pain patients.